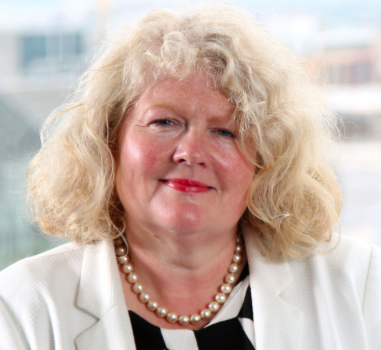 Farm Week Column 11 October - Michele Shirlow Chief Executive | Food NI - Our Food So Good! I was delighted to be part of the hugely successful Blas na hEireann Awards in Dingle last week and to see the supreme quality of food and drink now being produced by so many smaller companies, most of them Food NI members, recognised by over 100 expert judges. I congratulate all the Northern Ireland winners especially Kilkeel’s Rooney Fish on deservedly collecting the Supreme Title for its sensational Mill Bay Oysters, a first for Northern Ireland. Overall, a record 20 of our products won gold. There were silver and bronze for many others. Our smaller food and drink producers continue to come up with original ideas for exceptionally tasty products at the awards, the biggest blind tasting event in Ireland. These successes follow the outstanding performances of our companies in this year’s UK Great Taste Awards. Blas organisers Artie Clifford, who launched the competition more than a decade ago, and Fallon Moore are both very keen to attract as many entries from Northern Ireland as possible. I was hugely impressed by the highly efficient organisation of this important event in the Irish food and drink calendar. We’d certainly be keen to extend our engagement with Blas in both short and long terms as part of our longstanding commitment to promote our food and drink in markets outside Northern Ireland. The Republic, of course, is the biggest export market for Northern Ireland food and drink and offers huge potential for further, faster growth. It is the first market outside the UK that most of our smaller companies look to for business. And many retailers there are interested in what our companies have to offer. There was a tremendous buzz around Dingle during Blas, an integral part of the region’s annual food and drink festival, now among the most successful in the Republic of Ireland and other parts of Europe. Blas has long been recognised by retailers on the island of Ireland as a source of innovative products and most of the leading supermarkets, independent stores and delis were in Dingle this year to assess the business potential of the category winners and other entrants. Blas is a great way to keep abreast of food trends and the emergence of innovation-focused companies offering original flavours. And there were buyers too from the UK and indeed further afield. This is because Bord Bia and Failte Ireland both see the popular competition and festival as an opportunity to reinforce their essential theme of Ireland as the global ‘Food Island’. As well as the magnificent achievements of our producers at Blas, the outstanding quality of our food and our highly skilled and creative chefs was also highlighted in the latest Michelin Guide. And it was a tremendous boost for many of the restaurants which are part of our member lists. I was thrilled to see so many of our members featuring in these prestigious awards which highlight culinary excellence throughout the British Isles. I congratulate all those who have won Michelin recognition. Food NI members Deane’s EIPIC and Ox both retained their prestigious Michelin stars in the 2019 guide of the top restaurants in the UK and Ireland. And there were Bib Gourmands from Michelin for other five other Food NI members – Bar and Grill at James Street South in Belfast, Clenaghan’s in Aghalee, Deane’s at Queen’s in Belfast, Noble in Holywood and Wine and Brine in Moira. The awards, the judges said, recognised the very best dining experiences in Britain and Ireland.